September 25, 2018 December 20, 2018 Things To Do in Salem, Ma - Attractions, Museums, Fun, Free, & More! The Salem Wax Museum of Witches and Seafarers is perhaps the most well-known in town. It owes its notoriety to a few key aspects. 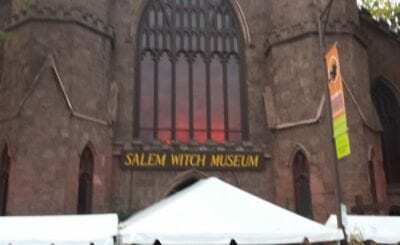 Firstly, The Salem Wax Museum was the original wax museum, according to Salem’s own tourist site. The attraction has also maintained its family-run roots in its two-decade long history. Another quality key to The Salem Wax Museum’s longevity is the nature of its figures. We’ll come back to this, but for now just know that the museum does feature some really stunning pieces. My favorite, and most people’s favorite, is the statue near the end. 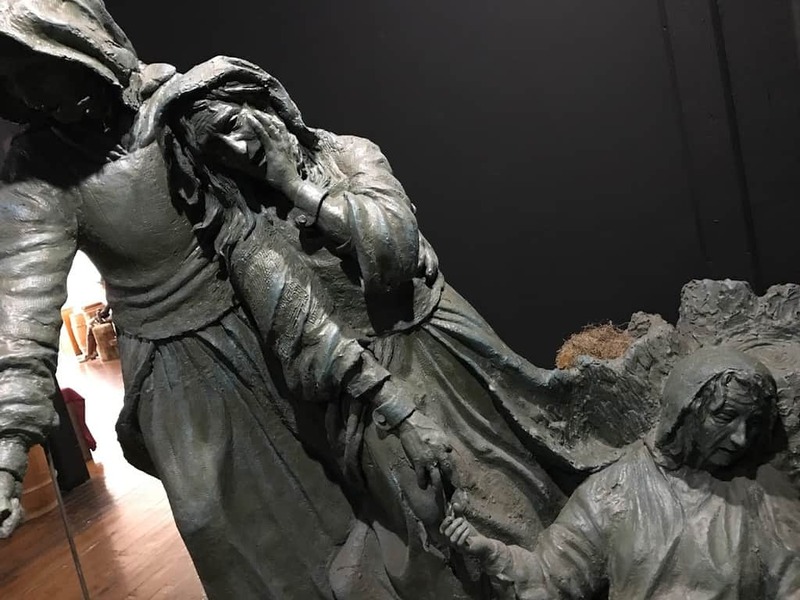 It’s called, “The Towne Sisters Statue – Mary, Sarah and Rebecca.” I’ll be revisiting these three ladies in the future I’m sure. But for now if you’re wondering who Rebecca Nurse, Mary Easty, and Sarah Cloyce were, as well as why this statue is so haunting and resonant, I’d suggest you head over to The Salem Witch Museum and ask around – that is, until I can get my entire Salem Witch Trials series put together of course. The Salem Wax Museum features I’d guess around 30 wax figures, made in London. These depict scenes from both the Salem Witch Trials and from Salem’s lesser-known maritime history. As one of the stops featured in Salem Massachusetts’ Haunted Neighborhood, you receive discounts when purchasing multi-attraction tickets. 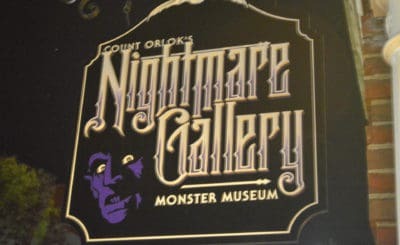 These other attractions are mostly nearby and feature haunted houses, walking tours, and an actual Spellcasting ceremony/Q&A. Now that you know what to expect at the museum, let’s address the melting elephant in the room: the figures. When looking at reviews for this attraction, you’ll quickly notice that several visitors are pretty critical of their appearance. I’ve visited The Salem Wax Museum twice. And I’ll join the chorus here and I’d say that it’s 100% true some of the figures could use updating. But I also think that the thrown-togetherness is part of the attraction’s overall charm. This is true for a lot of Salem Massachusetts now that I think about it. If you’d like to see the figures before making your decision, The Carpetbagger has a wonderful video that features many of them. To conclude I’d say that if you’re looking for serious history, culture, and flawless execution The Salem Wax Museum may not be the best attraction for you. But if you want a bit of Salem Witch Trials and maritime history in a condensed and kind of cooky exhibit and/or you’re looking for a great deal on a set of attractions, give this one a go. It’s just a bit south of The Old Burying Point Cemetery and super close to pretty much everything else in Salem Massachusetts. Ticket Prices: Generally just under $10 with discounts for children and seniors. As mentioned earlier, there are a set of ever-changing group discounts. Find the current set of discounts and purchase tickets here.